Let someone know how much you appreciate them with a beautiful gift basket. At St. Louis Gift Baskets in Wildwood, Missouri, we provide personalized services for our clients. We create custom gift baskets for people and companies all over the world. Everything we create is handpicked and personalized to our client's specifications and interests. For more than 15 years, we have been helping people celebrate their important days and events with our gift and food basket services. We get to know our clients to help us make the best choices for their gift baskets. Over the years, we have learned how people want to present themselves when they order a gift basket. We have built a word-of-mouth reputation because of our decorative baskets filled with gifts that the recipient loves. Have us make a personalized gift basket for your next special event. Give someone a lovely present to commemorate their special event when you turn to St. Louis Gift Baskets. 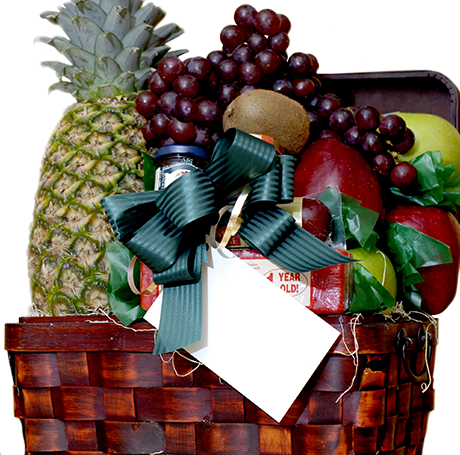 We provide personalized gift baskets with food and presents that the receiver will love and enjoy.